The Kenpo world lost another senior. 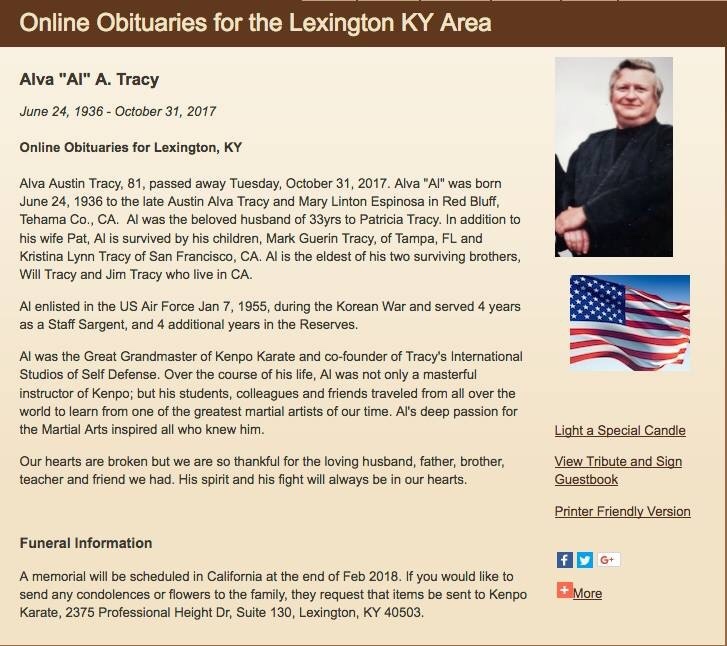 Mr. Tracy passed away earlier this morning. Been doing computers since 1982, on forums, chats and all for nearly 3 decades. Only ever blocked one person. Rest In Peace Mr. Tracy. You were a force in the world of Kenpo. Dammit, I was hoping this was just a rumor. All my respect and condolences. Tracy: What are the differences between Tracy and Parker Kenpo?